Pierobon is an Italian brand, renowned for extraordinary achievements in the world of racing, the company is born and raised in harmony with the development of the motorcycle industry. Pierobon has had and continues to have a leading role in the motorcycle sector along with the most important manufacturers. The base of its success lies in a strong entrepreneurial vocation and a natural curiosity for innovation that have allowed the construction of a center for research and development equipped with evolved machinery and systems for the design and manufacture of the products. 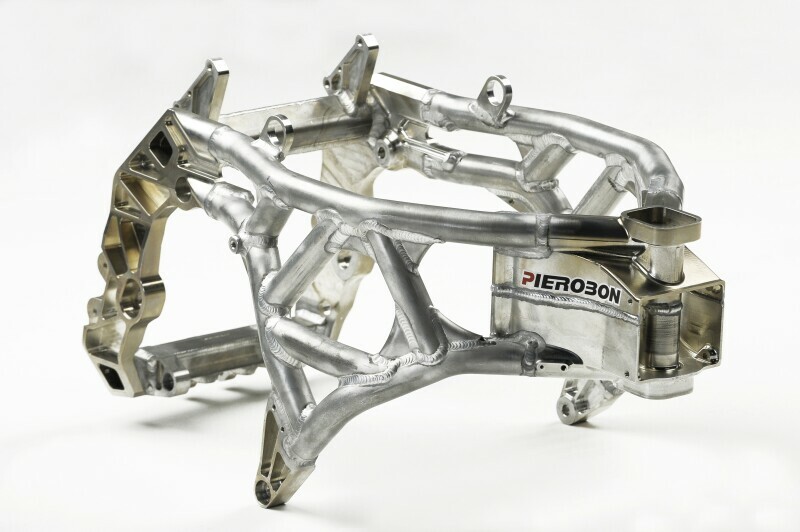 Pierobon is present on the world wide stage, with the best teams and factories in MotoGp and World Superbike, working side by side in the track, resolving problems, understanding teams’ needs and offering concrete solutions with groundbreaking products. The mission is to ensure the full and continued satisfaction of professionals and motorcyclists, with a passion for exciting work, to enhance the myth of the Made in Italy. The principal activities are the design, development and realization of chassis, equipments for the racing teams and complete racing motorcycles. The company draws and builds production equipment (as welding jigs, molds …) only for its exclusive use. The company is specialized in frames, swing arms, front and rear sub frames, fuel tanks, triple clamps, controls and so much more. 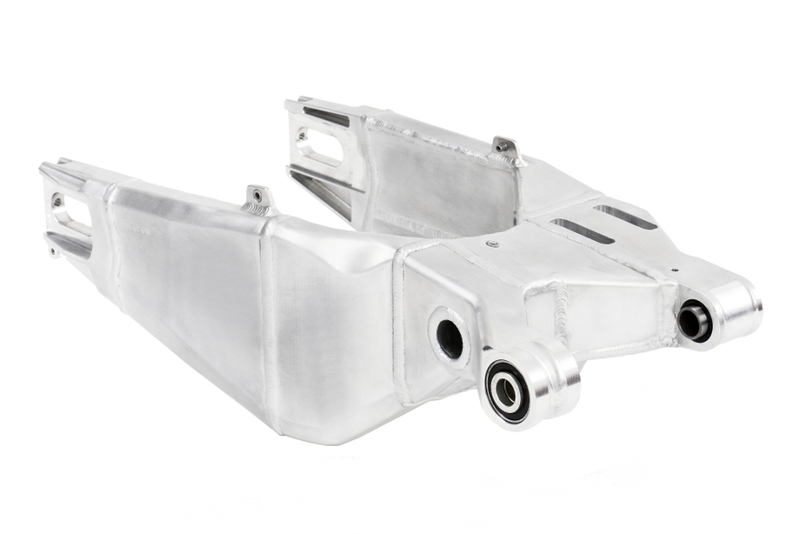 and machined pieces in aluminium, steel and titanium alloy. 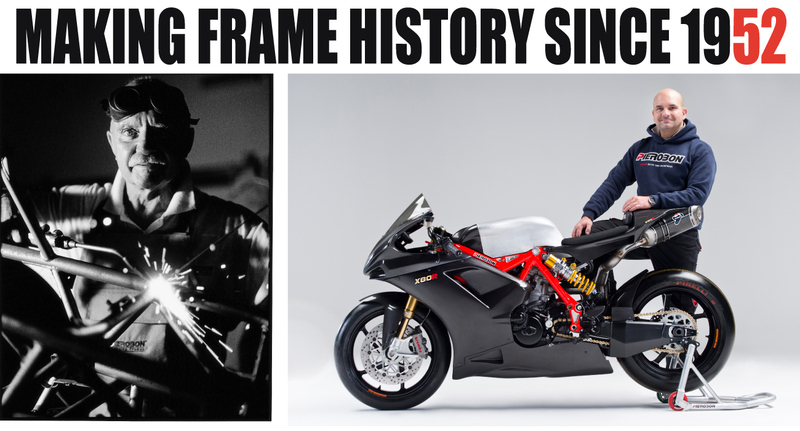 For years Pierobon has been design and building innovative and specialized equipment for Superbike and MotoGp Teams. The products offer the possibility to quickly disassemble each object for easy storage. 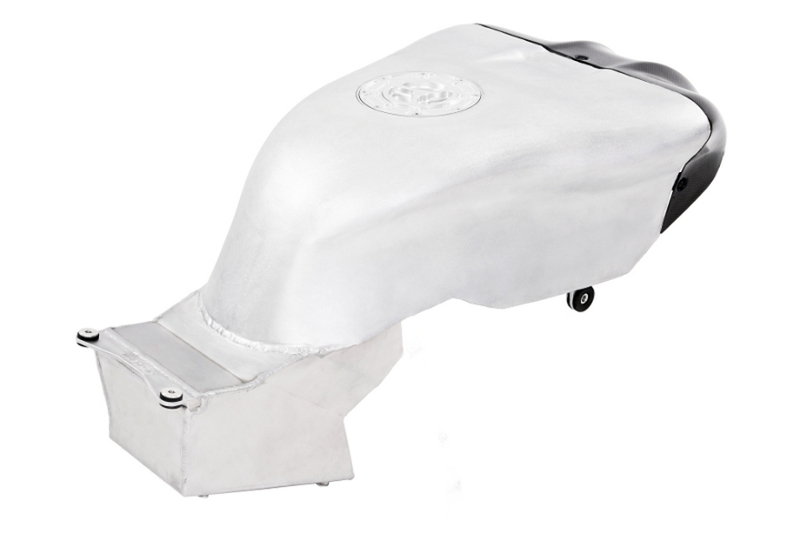 They are built in lightweight aluminium in manner to maintain maximum strength. Pierobon provides all his expertise, style, design, engineering for the realization of racing motorcycles and prototypes. Teamwork is at the heart of great achievement. The cooperation with the customer is the base to obtain the most ambitious objectives. The company works in co-design or in autonomy from the idea to the tested finished product, supplying the project and process documentation. To increase the versatility and technology of the work, Pierobon has partnership agreements with other companies for the precision mechanical machining and composite parts. Pierobon can design and build any structural components. The goal is to meet the evolving needs and desires of its clients. Through all the rigour of the design and development processes, testing and quality assurance remain the most important aspects of the work. To ensure the clients, the tests are run during and at the end of the production. verification of product quality by performing 3D inspections, tool certifications, CAD comparison, dimensional analysis, reverse engineering, etc… . For quality certificates, as raw material controls, welding controls, leak tests, ect.., Pierobon has partnership agreements with Certified Quality companies. Tubes in steel alloy EN1025 S335J2 (Fe510D), Fe 25CrMo4, ALS 450, St37.4.